Foundation engineering has long been the forte of AES. 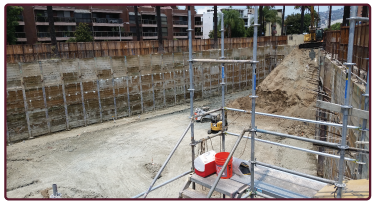 This office has been responsible for engineering the foundations for well over 10,000 buildings in Southern California and providing, in each case, an accurate and reliable soils engineering report. The result of soil and rock tests and engineering analyses and calculations, the “soil report” gives recommendations to structural engineers and contractors about building design and construction. A foundation engineer can dispense the best recommendations as determined by the soil and rock types that underlay a built-structure. Our team members at AES are ready to provide you with the foundation engineering advice and services you seek. We can conduct methane testing, environmental site assessments, and carry out a necessary soil test. Los Angeles and the greater Southern California area constitute the zone of our most active engagement. 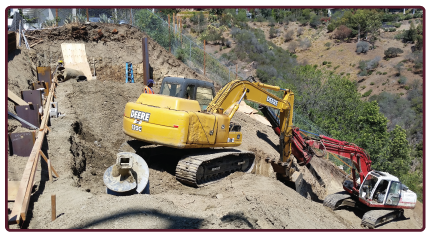 When you need a soils engineer in Los Angeles, AES is ready. Our scientists and engineers are equipped with piercing and penetrating knowledge of their diverse and complementing fields of study. That deep-rooted knowledge, along with extensive field experience, supplies each with the wherewithal to ensure you receive the very best services, including an excellent engineering geology report you can rely on with full trust and confidence. Many projects in densely populated areas where land is at a premium will require subterranean basement levels to accommodate parking or even living space. 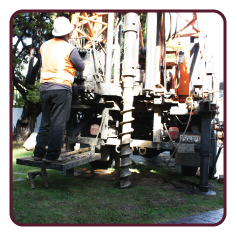 An important component of a geotechnical investigation and report is to provide recommendations for shoring along property lines where the basement excavations are planned. Many variables affect the shoring recommendations including soil type, groundwater level, offsite buildings, and offsite basements. Also, grading recommendations constitute an important component of a soils engineer’s report. Grading involves the removal or placement of earth to alter the pre-existing ground condition. 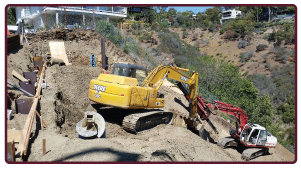 For complex projects, our soil reports will typically include detailed order of operations for grading, excavation, and shoring, which will be closely followed by the contractor during the course of construction. 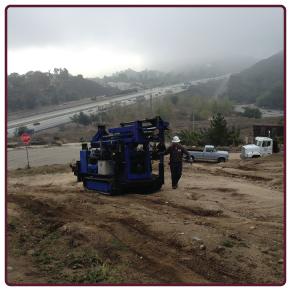 Increasingly, manufactured synthetics are being used for soil and slope stabilization. 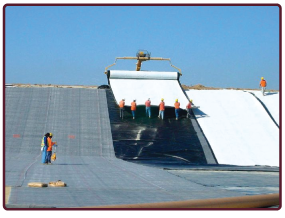 In many cases, geosynthetics save money and time and work, and remarkably well when utilized in conjunction with more conventional stabilization techniques. AES engineers and geologists stay abreast of the latest inventions and techniques and make recommendations for their use when suitable. AES is an approved soils, rock and methane testing laboratory in the city of Los Angeles as well as the County of Los Angeles. 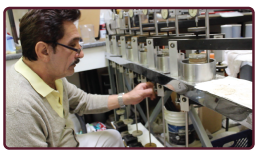 At our premises in Glendale we have all of the major state-of-the-craft soil testing equipment to the latest ASTM standards, including direct shear, consolidation, hydrometer, plasticity, and chemical tests for sulfate and resistivity. In 2015 we will add to our cache a nuclear field density testing device, a thin-section microscope, and assorted equipment for groundwater monitoring. Soil liquefaction, typically seen in certain low-lying areas with young alluvial soils, is the process by which the soil column collapses during a ground shaking; this occurrence leaves an improperly designed building floating on the water column. A very dangerous situation ensues which can result in entire buildings toppling over. Such events took place in Kobe, Japan, following the massive earthquake of 1995. AES investigates the soil column beneath a structure and evaluates liquefaction potential. 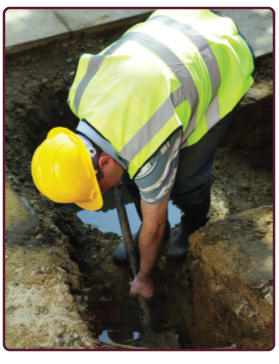 We can provide you with a geotechnical report, detailing the risk of liquefaction occurring on your building site. phase, our team is ready to support the project with inspections, observations, and field compaction testing. We have Deputy Grading Inspectors and Deputy Methane Barrier Inspectors on staff, ready to provide continuous inspections as required by regulatory agencies for critical phases of construction, such as temporary shoring, soldier piles, and excavation along property boundaries. Methane Inspectors provide continuous inspection of methane barrier installation and smoke tests; and field engineers and technicians support the project with periodic observations and field density testing.